MAXIMÓN - Santo o Diablo (2014), 66 min. To view the full movie choose your viewing options, press “Buy Now” and pay with PayPal. Then we will send you the link and code. The streaming option will give you 5 days to view the movie. 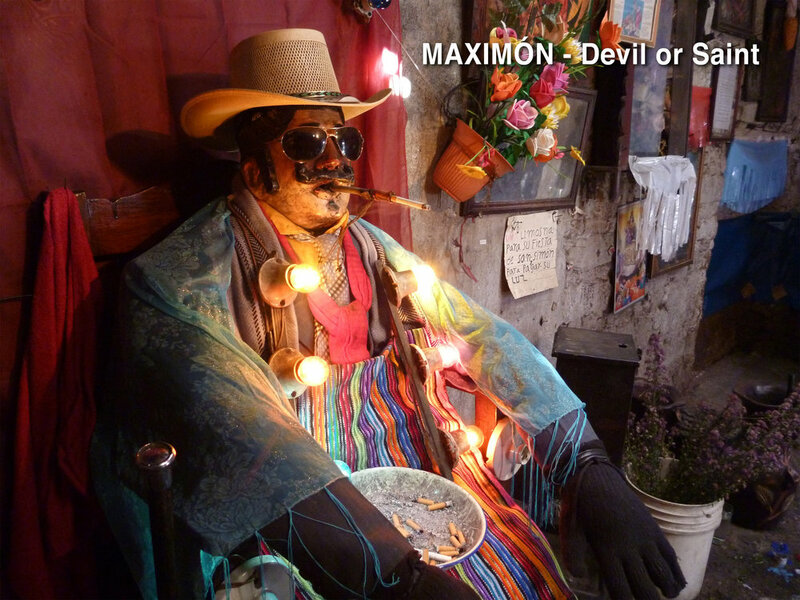 MAXIMÓN- Santo o Diablo is a documentary about a controversial Maya deity who personifies good and evil simultaneously. Maximón, also known as San Simon, or the drinking and smoking saint of Guatemala, is a mixture of ancient Maya beliefs and Christianity. Life-size figures of Maximón can be found in temples throughout Guatemala. The movie concentrates on the people who surround Maximón with their strong personalities, opinions and faith. Maximón is honored and loved because he performs miracles, but he is also feared and despised because he is used to cast curses that can result in death. Giving us a rare view into the rituals and fiestas honoring Maximón, the documentary leads us on a journey that is both joyous and terrifying. Ultimately Maximón transcends the duality of good and evil, reflecting the Maya cosmovision in which everything in the universe co-exists. The film was shot entirely in Guatemala and is in Spanish with English or German subtitles.